TransAtlantic Brass is an international chamber music ensemble consisting of American and Dutch musicians. The TransAtlantic Brass seeks to develop the cultural connections between the United States and the Netherlands by providing concerts that best represent the cultures of both countries and offer educational masterclasses to develop an understanding of musicianship from the Dutch and American perspectives. American trumpeter Joe Montelione and Dutch horn player Jack Munnecom’s friendship started in 2001 as members of the International Young Artist Orchestra in Bayreuth, Germany. They started a Dutch-American chamber ensemble that performs cross-cultural concerts in both the Netherlands and the U.S.A. This ensemble comprises American and Dutch musicians who will endeavor to expand the strong connection between the Netherlands and the U.S.A. through the performance of American and Dutch musical traditions. 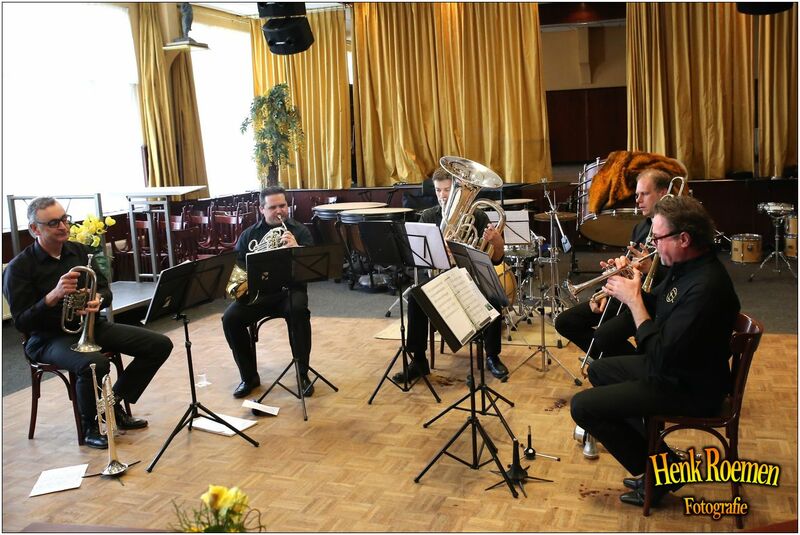 These performances will highlight the significance of both American and Dutch music within the brass ensemble tradition. A vital aspect of the ensemble is our passion to act as musical ambassadors teaching students about our respective cultures, presenting masterclasses on our respective musical traditions and provide lectures on various cross-cultural approaches to playing musical instruments. In addition to presenting concerts, we endeavor to present these masterclasses as a way to help those in attendance to develop a better understanding of the Dutch and American music culture.